Take a glimpse into CMA 2019! Here is a glance at our latest Brochure! We are very excited to be completely moved into our new office/workshop/warehouse space on FM 529 as of July 1, 2018! 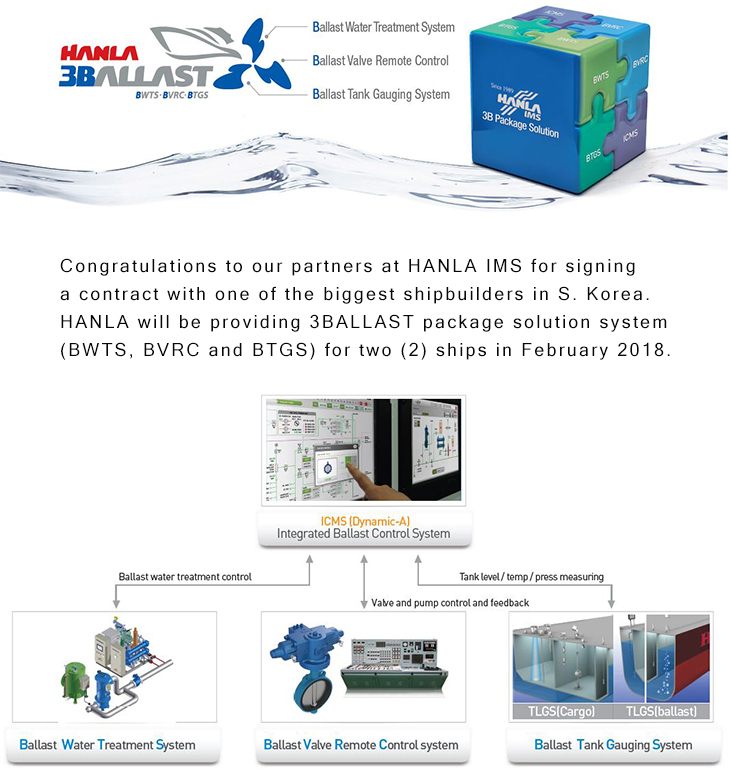 Congratulations to our partners at HANLA IMS! Introducing eco-friendly EcoGuardian™ system for treating Aquatic Invasive Species in a ship’s ballast water. Treatment method is side-stream type which enables the system to be remotely installed away from the ballast lines. The EcoGuardian™ system can be installed separately by unit. So relocation of other equipment and additional engineering can be minimized. HANLA IMS appoints STX Service Americas LLC as their agent in Americas. Click on the image to read the announcement. Launch of Digital Newsletter " The Engine Room"